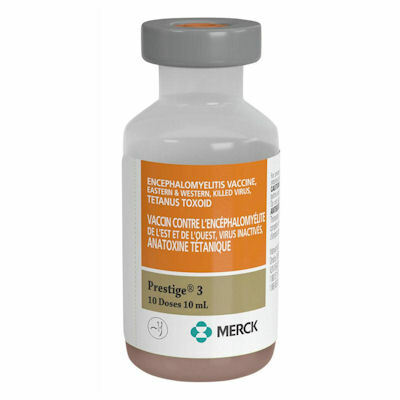 Encevac-T (Merck) is now called Prestige 3(Same vaccine at Encevac T (10 dose vial) a 3 way killed virus vaccine for the vaccination of healthy horses against Eastern and Western Equine Encephalomyelitis and Tetanus. Give one 1 ml. dose IM and repeat 3 to 4 weeks later and annually thereafter.